Two French journalists who were held as hostages by so-called Islamic State have identified Mehdi Nemmouche, the man accused of shooting dead four people at a Jewish museum in Belgium in 2014, as one of their jailers. “I have no doubt that Mehdi Nemmouche was one of my jailers and torturers in Syria under the name of Abou Omar,” said former war reporter Nicolas Henin, according to Belgian newspaper La Libre.be. The other journalist, Didier François seconded Henin's answer, stating that Nemmouche was indeed Abou Omar. 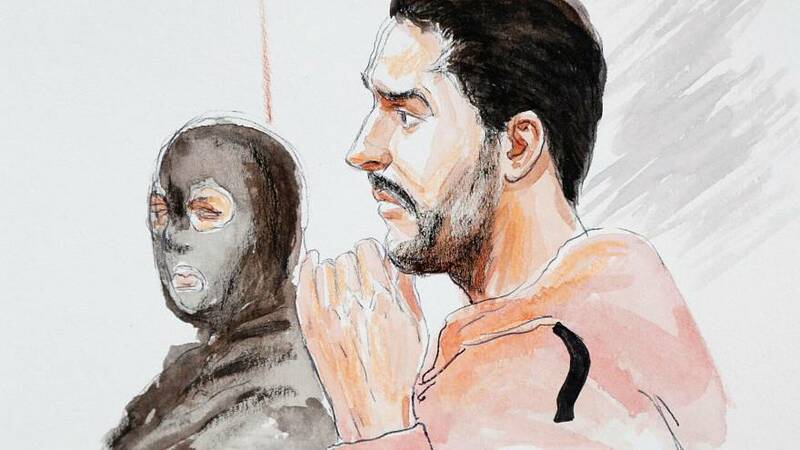 Nemmouche's trial began last month but this is the first time the court heard from the two journalists, who were held captive in Syria from 2013 to 2014. Henin portrayed Nemmouche as "sadistic and narcissistic", adding he was also anti-Semitic. The former war reporter also described how Nemmouche would hit them while they were blindfolded and using the toilet. After testifying against Nemmouche, François reiterated his stance: "I spent enough time in his hands to know with absolute certainty who he was and to be able to tell this to the court and the jury. "I've come to say two things: one, that I know him, and secondly that this young man had, very clearly, premeditated this anti-Semitic crime because everything he told us beforehand during our captivity showed his absolute determination, as he was saying, to kill a little four-year-old Jewish girl." Henin told the press that Nemmouche was "full of hatred with regard to the Jews". Nemmouche remained silent throughout the hearing even when the prosecutor asked him whether he knew the two journalists. The defendant's lawyer, Francis Vuillemin, said that the journalists' testimony was "of no relevance". "They've introduced these journalists who are not at all involved in the Brussels Jewish Museum shootings, and who are only concerned by their own kidnapping and imprisonment four years ago in Syria where they claim to have known Mehdi Nemmouche." Nemmouche, 33, faces life in prison over the shooting in 2014. He was arrested in Marseille, France soon after the incident, allegedly carrying a firearm similar to that used in the attack. He was later extradited to Belgium. The defendant allegedly travelled to Syria in January 2013 and also faces a separate trial in France for supposedly being an IS jailer.